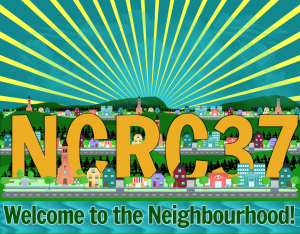 CHSR-FM 97.9 | The Little Station That Could – CHSR 97.9FM Successfully Hosts the 37th Annual NCRCThe Little Station That Could - CHSR Successfully Hosts #NCRC37! For over 57 years CHSR 97.9FM has been a staple in Fredericton’s local alternative scene. A founding member of the National Campus/Community Radio Association (NCRA), CHSR 97.9FM won their bid to host the 37th annual National Campus/Community Radio Conference (NCRC), which is hosted in a different city or community each year. The last time hosted in Fredericton was 1994. 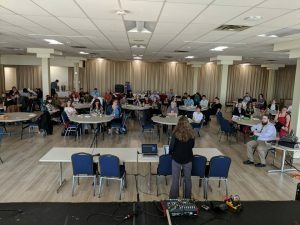 June 6th to June 10th saw 74 delegates from across Canada converge on the UNB Campus for workshops, caucuses, and presentations related to the campus/community radio sector. Keynote speakers included CRTC radio analyst John Fernandez, Bob Mersereau speaking on why the album still matters in a download day, Grid City‘s Matt Carter on how campus radio changed his life, and Peter Rowan delivered his race to the middle speech at the National Community Radio Awards held at the Charlotte Street Arts Center. 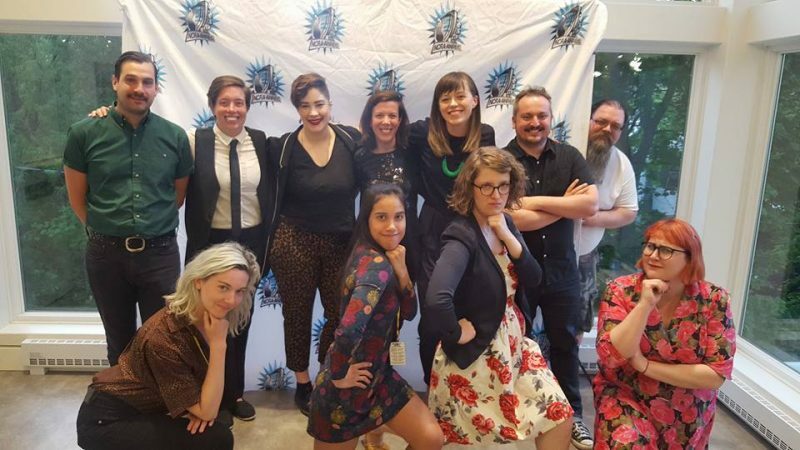 NCRC concluded June 10, 2018, the morning after a performance from Julie Doiron and The Olympic Symphonium at the Charlotte Street Arts Center and the final night of the Hometown Heroes festival at The Capital Complex. CHSR 97.9FM would like to acknowledge sponsorship from the Province of New Brunswick, Music NB, Bellwether, Alert Ready, ERP Engineering, and !earshot; and thank The Capital Complex for their generous partnership.